I am a 40 year educator. 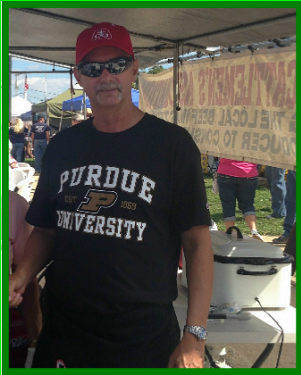 I hold a BS and MS in Agriculture Education from Purdue University as well as administrative certification from Indiana State University. I taught 15 years of vocational agriculture in the small community of Montgomery, Indiana, 7 years as a school administrator, and 18 years teaching agriculture at both the H.S. and middle school level as well as teaching computer technology in a middle school. I currently teach ALS-Food Science and Animal Science at Owen Valley High School and Agriculture Fundamentals at Owen Valley Middle School. I have been a livestock judging official, judged advanced showmanship at numerous county fairs, (Daviess, Knox, Posey, and Dubois), served as an area showmanship judge (two years) and a cattle judge in an open show. I served three years as the Jr. Angus Advisor and continue to be on the Indiana Angus Preview Show Committee. I most recently served on the Indiana Beef Cattle Association Beef Check Off Committee. I currently serve on the board of directors for the Owen-Monroe Cattleman's Association and will be completed my term on the Owen County Agriculture Extension Advisory Board. I was also recently elected to the Indiana Beef Cattle Association as a District director. My wife, Susan, son, Jeremy, and daughter Jayme have been in involved in the cattle operation as well as our small Boer Goat herd. I am an A.I. tech and we use A.I. as well as embryo transfer on the farm. The opportunities we have had showing cattle have been very rewarding and without the help of several Angus Breeders both in Indiana and throughout the country it would not have been possible. (Patton Family, Jim, Steve, Beth, Wilson Cattle Company, Bill, Pricilla, and Chad, Alan Miller, Prairie View Farms, Dameron Angus, Jeff and Gary and many others who assisted in our showing and raising Angus) To those of you we give you a special thanks.